Insulation tester. 500 & 1000V ranges. Supplied complete with soft carry case. Condition: Hardly used, as new. Original packaging missing. Carry case, software CD ROM, installation guide. Voltage logger, 3 phase, Electrocorder range. Complete with carry case, IEC voltage lead set, USB configuration cable. Electrosoft configuration software available as download. 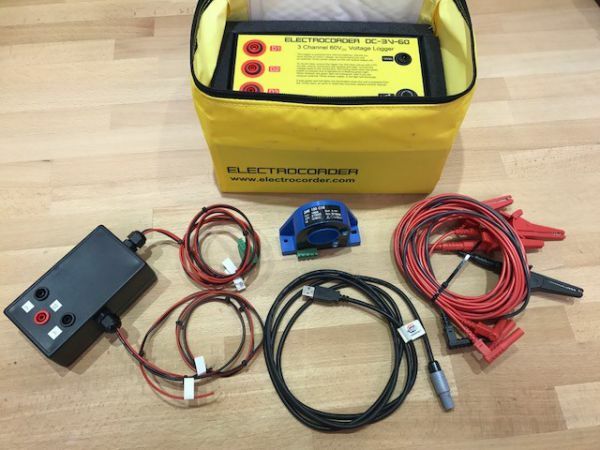 Voltage logger, DC 60V 3 channel, Electrocorder range. 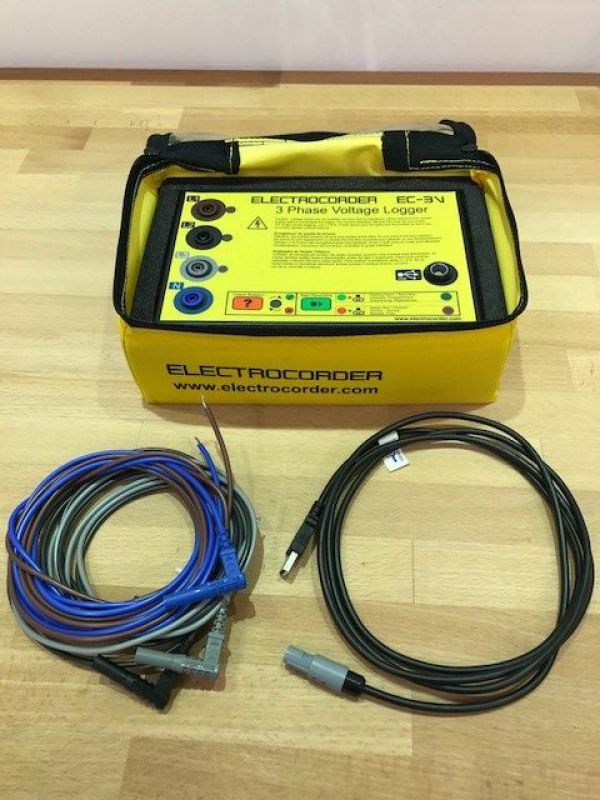 Complete with carry case, voltage lead set, USB configuration cable, 100A/0-10V current transducer.